Jessi Zazu (right) and Nikki Kvarnes, of Nashville band Those Darlins, performed at a recent summer session of the Southern Girls Rock Camp. Musician Kyshona Armstong (on drums) leads a Southern Girls Rock Camp keyboard class learning the Sara Bareilles song, "Brave." Nashville musician Adia Victoria made a guest appearance in Jessi Zazu's guitar class at the Southern Girls Rock Camp. Nikki Kvarnes, of Those Darlins, performs at Southern Girls Rock Camp. Those Darlins answered the questions of their rock school students — all girls at the Southern Girls Rock Camp. Nashville rocker Jessi Zazu, of Those Darlins, has come full circle, from attending the Southern Girls Rock Camp for teenage female musicians, to teaching guitar and performing at the camp. This year, Zazu debuted a new song about a lack of respect for women in rock — and she said she's preparing her students to change the industry. “If you look at ‘Guitar World’ (magazine) you’ll find a lot more girls who are straddling a guitar then you will find playing a guitar,” Zazu says. “Right here. Right now,” she told them. At camp, the girls choose an instrument to learn, make up band names — think Glitter Bomb or the Atomic Flying Elbows — and design rock ‘n’ roll T-shirts. Zazu, who is 25, teaches screenprinting and guitar. 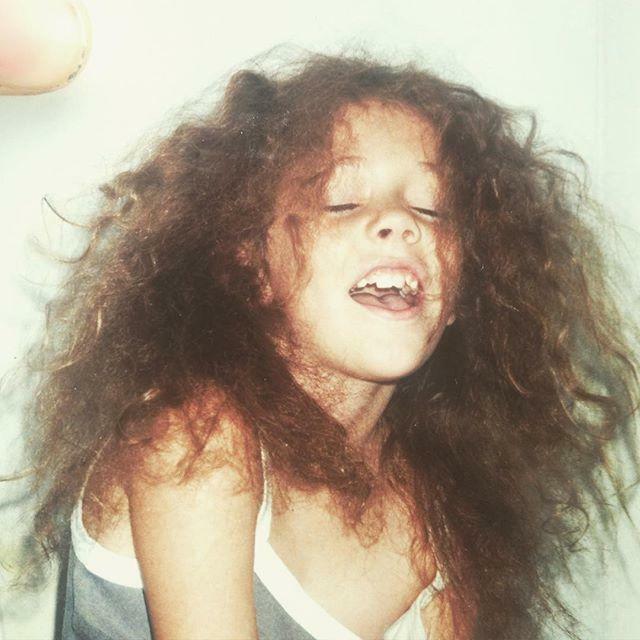 Jessi Zazu, of Those Darlins, at age 12. She’s passing on the same skills and swagger that she learned at camp, starting when she was just 12. She had frizzy brown hair at the time that made her look like a feral child — or like a heavy metal drummer. She insisted on learning every instrument as she came back to camp year after year. By age 17 she was touring and teaching sessions. She’s been back nine times as an alumna. Camp director Sarah Bandy said Zazu exudes an empowering rowdiness, which the girls encounter on day one. Rock camp student Sophia Gulley designed this logo for the Atomic Flying Elbows, a band formed during camp. “Whenever I’m stuck, she helps me and kind of gives me courage to do it in front of people,” she said. Zazu said she ended up feeling a little weird singing a song about the lack of respect for women in rock — after her students had just spent the week seeing nothing but female musicians. But she stood by the importance of providing a glimpse into what she sees as the tough realities. 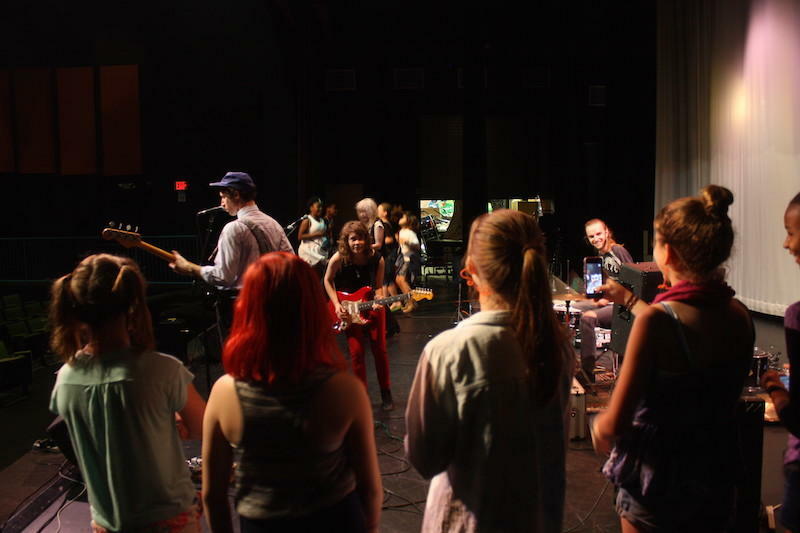 Students in the Southern Girls Rock Camp danced on stage as Jessi Zazu and Those Darlins performed one of the camp's daily concerts. A Nashville instrument-maker has spent millions of dollars over the course of a decade trying to perfect a self-tuning guitar. It wasn’t until this year, however, that Gibson, the brand behind the iconic Les Paul, started making automatic tuners a standard feature on most of its electric guitars. Country music icon Loretta Lynn and alternative rocker Jack White received stars on the Music City Walk of Fame on Thursday. If you check out Spotify’s Nashville Top 100 playlist, you’ll find Elliot Root, an alternative band led by frontman Scott Krueger in the top spot. "Doesn't mean he's getting more plays again, than anyone in Nashville, but you could say he's the 'Nashvillist' artist right now,” said Eliot Van Buskirk, Data Storyteller and editor with Spotify.